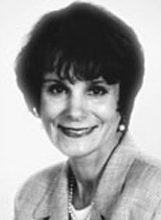 Nancy Doda serves as an educational consultant for middle-level schools and organizations across the United States. Working weekly with various groups, Nancy Doda conducts workshops, gives keynotes at educational conferences, and works with districts on long-term inservice and change efforts. Doda’s experience is rooted in the classroom, where she worked in a middle school as a team member and leader, teacher advisor, and teacher for the beginning years of her career. While teaching, Nancy Doda wrote a column for the Middle School Journal called “Teacher to Teacher,” which is now available as a book. While teaching, Nancy Doda completed her master’s degree and doctorate at the University of Florida, with a specialization in middle school education.